In lieu of a “2010 Year in Review” blog post from Miceli Productions HD, we wanted to share with you what our blog looked like this time last year. We’ve come a long way in 2010, with almost weekly video blog posts… here’s to 2011. 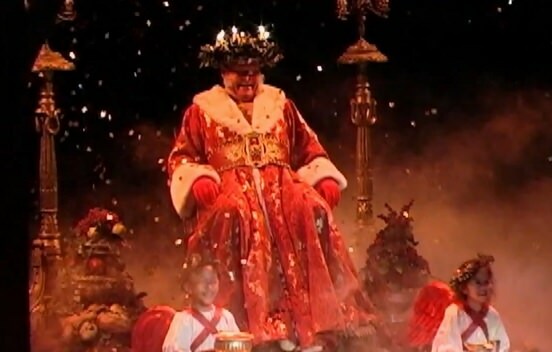 Hartford Stage Company‘s A Christmas Carol has one of our favorite Scrooges, actor Bill Raymond, returning to his role this holiday season for the 10th time! Check out Miceli Production HD‘s new Christmas Carol TV commercial, featuring Mr. Raymond’s delightful turkey gobble. 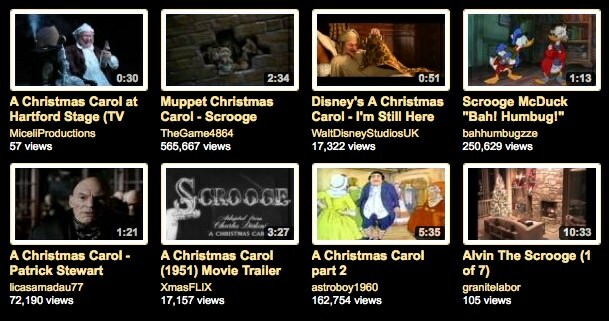 Watch the spot via our HD enabled media player above or as part of our Top Ten Scrooges YouTube Video Playlist. The playlist not only took us down the many merry memory lanes of Scrooges past, but also reminded us that this timeless tale holds up to wildly different interpretations. From elementary animations, to muppets or chipmunk voice-overs, from cutting edge computer generated graphics then back to old fashioned black and white film, we love to Bah Humbug with them all – please enjoy and share. Happy Holidays! Seasons Greetings from our family to yours! Christmastime is a magical time for the Miceli Family culminating in a long standing tradition of gathering everyone together on Christmas Eve (this year over 100 people!). In the weeks leading up to that gathering, we try to share as much Holiday Good Cheer as possible, going to many of our local festive displays, and donating to Toys for Tots and Southington’s Bread for Life soup kitchen. So whatever your holiday celebratory traditions may be, remember that spending time with family and friends, helping our fellow man and watching those little lights twinkle make the world a merrier place. Below are links to our family’s favorite holiday traditions in Connecticut. Good tidings to you for a safe and happy holiday! Fundraising Campaign Video Profile: YWCA and "Made to Stick"
As Creative Director of Miceli Productions HD, Jennifer Blessing Miceli leads the crafting of media messages. Fundraising campaign videos offer a unique challenge in communicating specific information along with an emotional message. A successful campaign video informs a viewer and ultimately moves them to donate, to volunteer, to support and to advocate for your organization. Best-selling business writers Chip and Dan Heath, offer a fantastic framework for crafting messages in their recently published book, Made To Stick: Why Some Ideas Survive and Others Die. We felt this “sticky” framework resonated with how Miceli Productions HD crafts media messages for fundraising campaigns. Miceli Productions HD produced a campaign video for the YWCA of New Britain, CT. Here, Jennifer uses the video as a visual example along with the the Made To Stick framework for success, to illuminate how these principles inform crafting messages with media.